Newmont Mining Corporation, one of the world’s largest gold producers, announced on Tuesday that it has completed the sale of its Jundee underground gold mine in Australia to Northern Star Limited for total proceeds of approximately US$91 million. “We are pleased to have completed the sale of Jundee as part of our ongoing effort to increase shareholder value by focusing on lower cost, longer life operations,” said Randy Engel, Newmont’s Executive Vice President for Strategic Development in a media release. As part of the agreement, all existing fixed plant and onsite equipment owned by Newmont was transferred to Northern Star and the majority of Jundee’s non-contract staff were offered continuing employment. Jundee produced 279,000 ounces of gold in 2013. The Jundee gold mine is located 520 kilometres north of Kalgoorlie in Western Australia. Production began in 1995 from a complex of open pit mines that have now ceased operation. 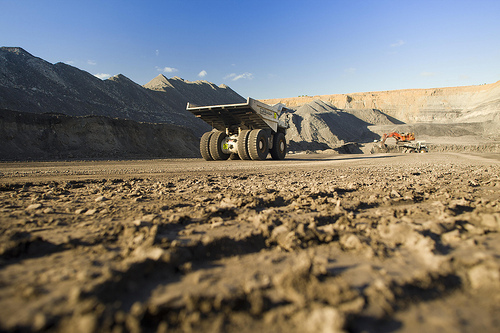 Underground mining began in 1997 and continues today. Newmont is a leading producer of gold and copper with approximately 30,000 employees and contractors, the majority of which are working at managed operations in the United States, Australia, New Zealand, Peru, Indonesia and Ghana. Newmont is the only gold company listed in the S&P 500 index and in 2007 became the first gold company selected to be part of the Dow Jones Sustainability World Index. Newmont is an industry leader in value creation, supported by its leading technical, environmental, and health and safety performance.